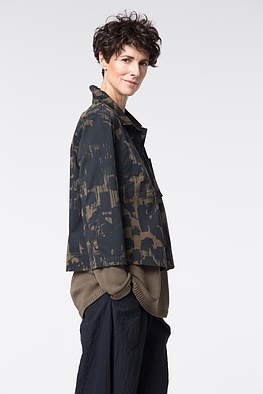 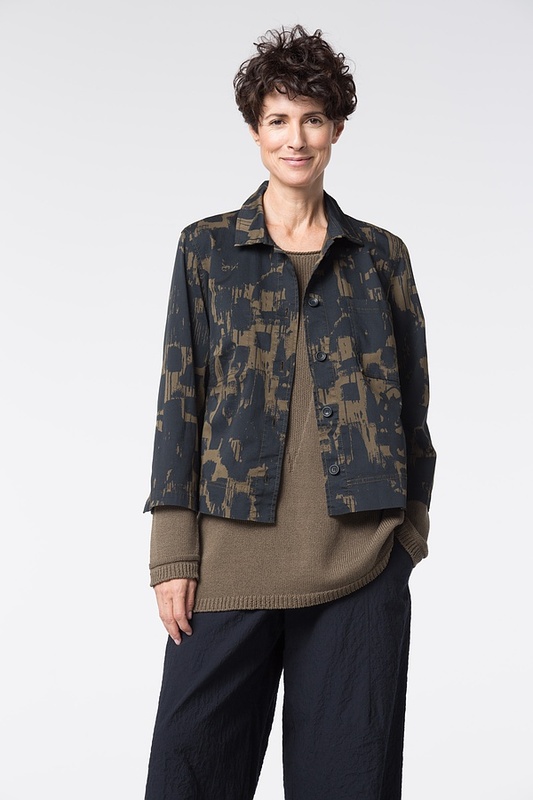 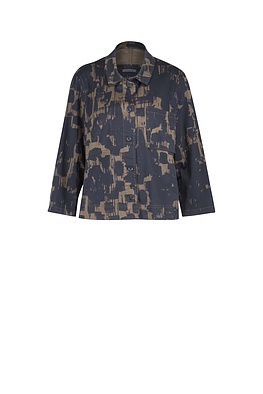 This short boxy OSKA jacket is a wonderful everyday companion: at home, at work, on a stroll about town or a barbecue party. Its sporty jeans look-inspired features – high quality cotton, distinctive seams and broad hemline – are clearly evident. 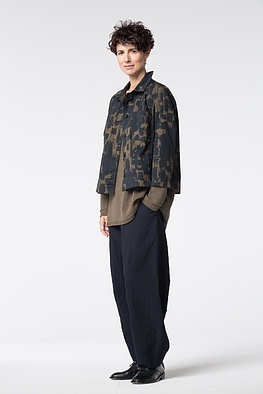 It is only at second glance that one discovers sophisticated details like different breast pockets: one of them is invisibly tailored and is on the inside of the jacket.